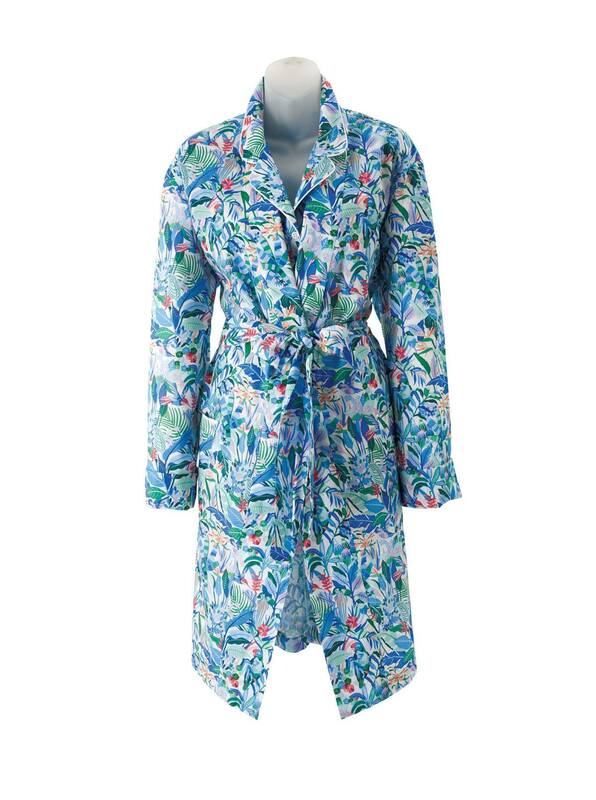 'Hummingbird Robe by Derek Rose, with shawl collar, self belt, two pockets. Robe By Derek Rose of soft, lightweight cotton, in a splendid print of hummingbirds among the flowers. Imported.